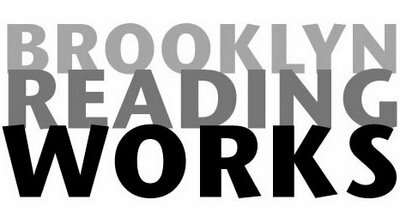 OTBKB blogger and Brooklyn Reading Works organizer Louise Crawford sends a reminder about the BRW event tonight (2/22) featuring "Three Writers. Three Interesting Stories." It takes place at 8PM at the Old Stone House, which is between Fourth and Fifth Avenues between 3rd and 4th Streets. Tonight's featured writers are Carla Thompson, who's a freelance writer and filmmaker. She'll be reading from her first book, a memoir called Bearing Witness: Not So Crazy in Alabama. It's described thusly: "..the Harlem native meets an itty bitty beauty queen, a redemptive ex-con, and a wheelchair-bound quiz kid among others and discovers that the American South is a complex intersection of race and class filled with people who go about the business of living the best way they can." Also reading is Branka Ruzak, a native of northeastern Ohio and the daughter of Croatian and Slovenian immigrants. A bit about Ms. Ruzak: "Always an avid traveler, her essays and poems are journeys to different times and different places. Her essays 'Hungry Heart' and 'Mothballs: A Chemical Memory' is from a growing collection of writings about family, culture and travel.."
Last but not least is the woman known to readers of Ms. Crawford's blog and column as Mrs. Cleavage, aka Mary MacRae Warren, who produces a blog called--what else?--Mrs. Cleavage's Diary. She's described as "a single mother who lives in a cluttered apartment in East New York. She is saucy, opinionated, creative, and a smarty-pants - not necessarily in that order. Her blog is her story, live and unedited from Brooklyn." Check it all out tonight.